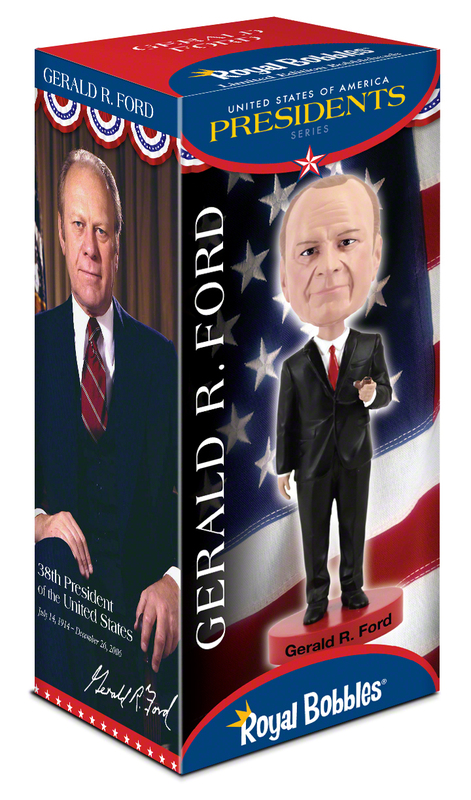 Gerald R. Ford, the 38th President of the United States, was born July 14, 1913, in Omaha, Nebraska. When Vice President Spiro Agnew resigned in October 1973, President Richard Nixon nominated Ford to fill the vacancy. Ford was sworn in on December 6, after confirmation by Congress. Eight months later, Nixon resigned due to the Watergate scandal. Gerald Ford was sworn in as President on August 9, 1974. Ford presided over the aftermath of Watergate, ended America’s involvement in Vietnam, and engaged in intense Cold War negotiations. At home, he began deregulating the economy, guiding America out of recession, as the nation celebrated its Bicentennial. Still, Ford’s race in 1976 to earn the presidency by the ballot box was haunted by his pardoning of Richard Nixon, an act many Americans then opposed. Though Ford lost the election, he had done much to heal the nation, torn by a decade of political, social, and economic strife.